From the conception of Gainesville Title, our goal was to provide great customer service in Cooke County. At each stage of the process, highly skilled, experienced experts will assist you assuring prompt delivery of our products and services. Our standards are high. We recruit and hire individuals with the knowledge, ability, skills, and experience in the title industry. 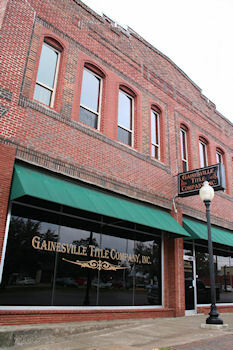 Our IT department continues to make advances in office automation giving Gainesville Title Company the ability to move with speed and accuracy.